When you make the decision to start a design project, don’t let the excitement of the project lead you to jump in feet first. The security of your home and of your finances needs to lead your decisions. The law also explicitly lists specific items that must be included in the contract. You can see them on the Attorney General’s website. When you hire a contractor, in addition to their reputation, their cost and their portfolio, you need to make sure they are registered in the HICPA database. When I hear of individuals just picking the lowest bidder I cringe. Hiring an unregistered contractor can be a huge risk. The cost will seem good as long as everything is going well. But if anything goes wrong, you’ll find out your don’t have the financial protection that comes from having an insured contractor and the legal protection from having a registered contractor. For instance, did you know that if your contractor does not have liability insurance and is injured on your project he or she can sue your homeowner’s policy? And since you didn’t make sure he or she had liability insurance, she will have to pay for their injury. The Attorney General created HICPA to protect you from the volume of contractor fraud happening to homeowners across the state. Protect yourself. Verify all of your contractors are in the HICPA database. You can rest assured that I am registered and insured (PA119407 ) and that I only use registered and insured contractors. 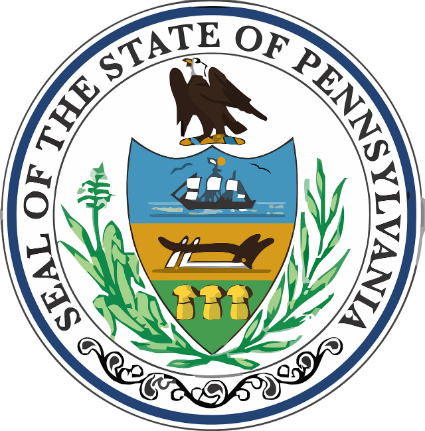 Pennsylvania doesn’t require interior design certification. But that doesn’t mean that you can’t. To make sure that your interior designer has the proper education and experience, choose one who is a member of the International Interior Design Association (IIDA) or the American Society of Interior Designers (ASID). Both organizations require an Interior Design degree from an accredited interior design or architecture program, hands-on work experience and continuing education credits for membership. 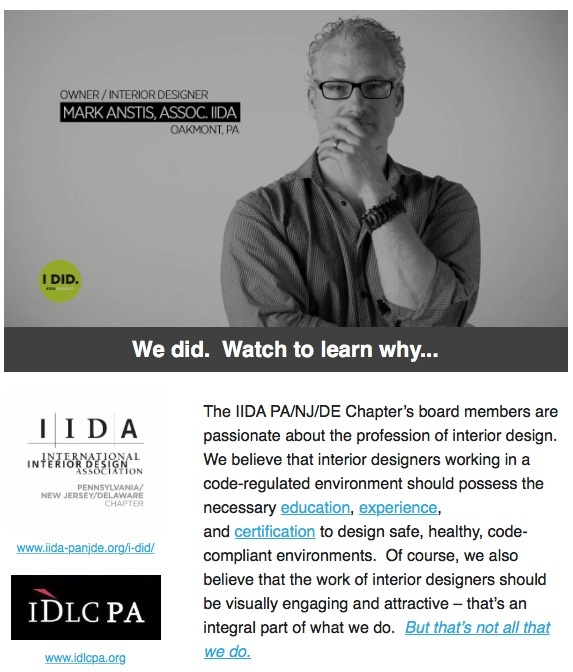 I’m also a board member of the Interior Design Legislative Coalition of Pennsylvania (IDLCPA), a joint effort of the ASID and IIDA to pass legislation in Pennsylvania (PA SB 1060) that supports the creation of a credentialing/registration process for interior designers. Using a certified interior designer will ensure quality design!